The Ballybrown Junior Football panel that plays Kerry's Cromane in the Munster Junior B Football Final on Sunday in Knockaderry. Photo: Ballybrown GAA. MODERN day giants Ardscoil Ris run-up against Midleton CBS in the Dr Harty Cup Final at Mallow on Saturday at 1:30pm. Ardscoil, last winners just two years ago, are seeking a fifth title. In a fiercely contested semi-final, the Limerick side had to use all their ‘know-how’ to better stubborn CBC (Cork) a few weeks back. 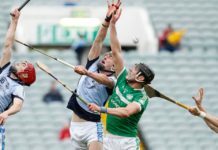 It necessitated a late volley of scores through Paul O’Brien (2), Barry O’Connor (Ballybrown) and Rian Considine (Cratloe) to separate two teams that had been tied-up on no less than nine occasions. O’Brien (Mungret), captain Ronan Connolly (Adare) and Jerome Boylan (Na Piarsaigh) are survivors from the triumph of 2016, while other key players include Josh Considine (Patrickswell), Rory Duff (Mungret, St. Paul’s), Padraig Heaney (Na Piarsaigh), Cillian O’Reilly (Patrickswell) and Diarmuid Ryan (Cratloe). Ardscoil are managed by Liam Cronin, Derek Larkin, Damien Gillane and Barry Hennessy. In the other semi-final, Midleton CBS were hugely impressive as they comfortably stripped Our Lady’s Templemore of their title. The winners’ Liam O’Shea and Liam Gosnell struck an incredible 22 points between them and will have to be monitored closely by Ardscoil. Other potential match winners for CBS are goal-poachers Joe Stack and Arthur Nganou, along with Sean O’Sullivan, Sean O’Leary-Hayes and Aaron Walsh-Barry. It’s a first appearance in the decider for Midleton in 12 years. Ardscoil face their toughest assignment to date at the weekend, but are given a tentative nod to come out on top. The game will be streamed live on Sporting Limerick and commentary will be provided by the Limerick Post’s Mal Keaveney and Matt O’Callaghan of the Vale Star/Weekly Observer. ST. MUNCHIN’S college are the sole flag-bearers for Limerick at the business end of the Clayton Hotels Munster Schools Junior Cup, and have been favoured with home advantage against PBC in next Wednesday’s semi-final. The other semi is between holders CBC and Bandon Grammar School on the same afternoon. St. Munchin’s, seeking a first win in the competition since 1988, were at their brilliant best when breezing past St. Clement’s, 60-6, in the previous round. Donnchadh O’Callaghan crashed over for a hat-trick of tries, while Kean Sheehy bagged a brace and Darragh Long had one, along with five successful conversions. At out-half on the side is Alexander Wood, son of former Lion Keith. 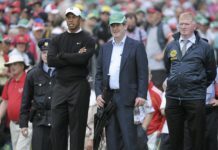 It’s little surprise that the local side are now leading contenders to bridge that 20-year gap, but a shrewd management team of Ger Slattery, Pat Cross and Neil Cronin will have the ‘Munchin’s teenagers well-grounded at this stage.The final of the Junior Cup takes place on the week beginning March 5. In the Senior Cup, the semi-final draw is: Crescent College Comprehensive v Glenstal Abbey and PBC v CBC. Both matches go ahead later this month. IRISH PGA champion Tim Rice started the new season in fine form when capturing the Titleist sponsored Druids Glen Winter Alliance at Druids Heath. 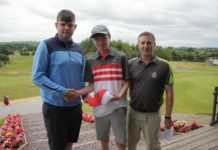 The Limerick talent scored 36 points to win by four from local David Gilsenan with Paul Mahoney a point further back in third. As an outing winner, Rice is straight through to the Grand Final in March. 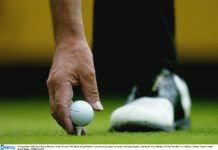 Patrick Geraghty (Druids Glen) currently leads the Order of Merit. 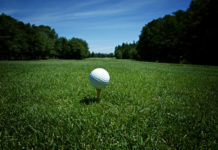 Dromoland Castle will host the €12,500 PGA Irish Club Professional Tournament, including a Pro-Am, in May. 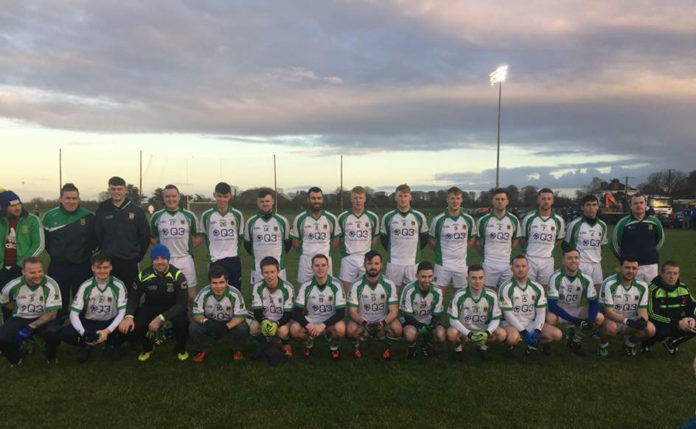 BALLYBROWN will attempt to lift the first GAA Cup of 2018 when they run-up against Cromane of Kerry in the long-awaited Munster Junior B Football Championship Final in Knockaderry on Sunday next (2pm). The last 10 winners have hailed from Kerry, with Clann nan Gael (Cork) the only team outside of the Kingdom to win, in the inaugural year of 2006. Ballybrown, for their part had an exhausting run in late ‘17, having drawn all five of their last championship encounters, the most recent of which was followed-up with a sensational extra-time success over hot-pots Argideen Rangers of Cork in December. For a club team to draw on so many occasions in the same championship season is an official record for the sport. The Limerick representatives have tireless leaders in their pack, such as Evan Loftus, Mike Kiely, Kenny Power, Adrian Roberts, Bryan Griffin, James Garvey, James Hall, Nigel Mann, Ross Griffin and Shane Kenny. Reputations stand for nothing to these kind of warriors. Ballybrown have been hugely impressive of late – credit here to the management trio of father-and-son Mike and Trevor Mann and Mike Roberts – and a monumental achievement is always possible.